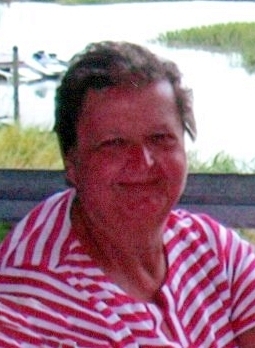 Dolores A. Heitger, age 70 of Massillon, passed away Monday, May 28, 2018 following a long and courageous battle with cancer. She was born April 1, 1948, in Massillon the daughter of the late Howard "Tut" Sr. and Ruth (Rohr) Heitger. Dolores retired in 2009 from Hanover House where she was food service supervisor for 36 years. She was a member of St. Joseph Catholic Church and North Canton Eagles #2223. Dolores is survived by sisters, Patty Heitger and Ruth Graham; sister and brother-in-law, Rosemary and Bill Schandel; brothers and sister-in-laws, Paul and Shirley Heitger, Ray and LaVonne Heitger; sister-in-law, Pat Heitger; numerous nieces, nephews, great nieces and nephews and great-great nieces and nephews. In addition to her parents, she was preceded in death by her brother Howard Jr. and brother-in-law Freddie Graham. Calling hours will be held on Thursday, May 31, 2018 from 6 to 8 P.M. and on Friday, June, 1, 2018 from 9:45 to 10:45 A.M. at Heitger Funeral Home - Massillon Chapel, 639 1st St NE. Mass of Christian Burial will be held on Friday, June 1, 2018 at 11 A.M. at St. Joseph Catholic Church with Rev. Raymond Paul, celebrant. Burial to follow the Mass at St. Joseph Cemetery in Massillon. In lieu of flowers donations may be made to St. Vincent DePaul Society at St. Joseph Church. Condolences to the family may be made at www.Heitger.com.